Looking for deals in New Delhi? Located in New Delhi's Diplomatic Enclave, The Leela Palace New Delhi is a blend of Lutyen's architecture and the royal Indian culture. A pampering spa, 4 dining options and free parking are... The service was amazing. At every corner there was someone to greet you or take care of your needs. The restaurant options are marvelous Italian, French Indian and Japanese. Chef Jolly provided us with all the Arabic food and beverages we liked. The money value was less than we expected for the wonderful services we got. Offering an outdoor swimming pool and 3 dining options, Taj Palace New Delhi is located in New Delhi. WiFi access is available. Each room here will provide you with air conditioning and a mini-bar. They need water jets near toilets. Most Asians and Indians use water to clean bums. Just over half a mile from central New Delhi and its business district, Hotel Imperial features an outdoor pool and health club. Guests can enjoy spa services and 7 dining options. The hotel , though of a certain age is wonderfully preserved and fresh.The history is all over its walls and the public areas and it is a pleasure to be in it. I arranged an art tour which was very interesting and gave us some insight into the time the hotel was built and the people involved in its planning. We were then shown some of the special rooms of the hotel like the ballroom and the atrium. We were able to enjoy the art work on three floors of the hotel. The rooms are beautiful and the staff very helpful. Built in 1903, Maidens Hotel showcases 19th century colonial charm and architecture. It has an outdoor pool, fitness center and features a coffee shop which extends into a charming, open courtyard. Simply amazing! There is a very good reason this hotel does not have one bad rating, it is because you just can't fault it! Beautiful facilities and room, set in between amazing gardens and grounds. Staff are simply wonderful as well, especially the manager who organised a complementary breakfast pack on our last day as he knew we were leaving the hotel early. Will definitely head back there again! Hotel Sweet Palace@Delhi Airport is located in the Mahipalpur district of New Delhi, and is 6 miles from Qutub Minar. Food and staff behaviour is very good. Roseate House New Delhi offers a rooftop infinity pool, a spa and wellness center and 3 dining options. The property features an ultra-chic cinema hall – Upstage. Everything is great I’m enjoying my stay here ! Located at a 7 minutes’ drive from the Indira Gandhi International Airport, Novotel New Delhi Aerocity offers 2 family-friendly dining options including a 24X7 Sports Bar. All of the staff or very helpful and friendly. Le Méridien New Delhi is located just 1.2 mi from the Presidential Palace, Parliament House and Connaught Place. Extremely efficient and extraordinary services from all departments.. Located in Lutyens New Delhi, The Claridges, New Delhi, offers rooms with old-world charm and contemporary furnishings. The breakfast was excellent, as were the staff. The recently refurbished Shangri – La’s – Eros Hotel, New Delhi offers 5 dining options and an outdoor swimming pool. India Gate is 1.6 mi and Jantar Mantar is 0.8 mi away. Unbelievable staff! I was in New Delhi with my daughter traveling India for pleasure. Set in New Delhi, 1.7 mi from Delhi International Airport, Pride Plaza Hotel, Aerocity New Delhi features an outdoor swimming pool, a fitness center and spa center. Great staff .. great location .. value for money! Located just 328 feet from the New Delhi Railway Station, The Prime Balaji Deluxe @ New Delhi Railway Station operates a 24-hour front desk to assist guests at all hours. Great service. I was given free snacks and juice when I arrived. 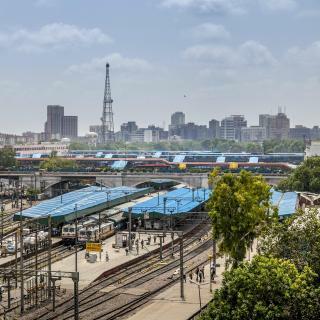 Just 984 feet from Delhi Railway Station, Bloomrooms @ New Delhi Railway Station offers convenient transport access and bright, cheery rooms with free Wi-Fi and a private bathroom. Locatiom is great, walkable from new delhi stasion. Located 2.5 mi from the famous Lotus Temple and historic Qutub Minar, Indus Biznotel offers a 24-hour front desk and free Wi-Fi in all areas. The Akshardham Temple is 6.2 mi from the property. Everything else! Very helpful staff and the property is at a good location. Featuring a white and sunny yellow theme, bloomrooms@Link Road is a 5-minute drive from Humayan’s Tomb and Lodi Gardens. It has a café and lounge and provides free Wi-Fi access. Very clean property with great staff. Restaurant is good. Just 1969 feet from Connaught Place, this hotel offers Wi-Fi accessible rooms with a flat-screen TV and DVD player. Located in New Delhi, it features an Indian restaurant and 24-hour room service. The location (2min walk to a main metro station). THE STAFF. Along with a free pick-up service from Indira Gandhi International Airport, Hotel City Star in New Delhi features a rooftop restaurant and a fitness center. After my stay in a bad hotel, I was so happy when I saw my room here. A luxurious escape in the busy business district of Crowne Plaza New Delhi Mayur Vihar Noida offers an outdoor pool, pampering spa services and a gym. Staff was exceptional good, theyvrevignized me as recurrent guest and treated me very well. 4-star Shanti Home is located in Janakpuri, New Delhi, 8.1 mi from Indira Gandhi International Airport. It provides tastefully decorated rooms, Ayurvedic massage services on site and free WiFi. This hotel is beyond incredible. Little boutique heaven located outside the city center. Set in a grand building in bustling Connaught Place, The LaLiT New Delhi welcomes guests with its full spa and outdoor pool. I'm personally very grateful to the receptionist with name Pushkin. Located within 1.1 miles of Gurudwara Bangla Sahib and 1.8 miles of Jantar Mantar, Hotel Dollar Inn has rooms with air conditioning and a private bathroom in New Delhi. Good neat and clean hotel. Good for small budget also with AC. Just across from Super Bazaar in Connaught Place, Hotel Bright offers modern air conditioned rooms and free private parking in New Delhi. It is about 8 miles from Indira Gandhi International Airport. First class service. Don't be fooled by the outside - inside is a very nice little hotel. Which hotels in New Delhi have nice views? Hotel Raj Palace, Olivia Hotels, and Hotel SRV Plaza got great room view-related reviews from travelers in New Delhi. Which hotels in New Delhi offer an especially good breakfast? For hotels in New Delhi that serve highly-rated breakfasts, try Hotel Airway Stay, Hotel Raj Palace, and HOTEL ASCENT. Which hotels are the best ones to stay at in New Delhi? The Leela Palace New Delhi, Taj Palace, New Delhi, and The Oberoi New Delhi are some of the popular hotels in New Delhi. Which hotels in New Delhi are good for couples? These hotels in New Delhi are highly rated by couples: Hotel Airway Stay, The Oberoi New Delhi, and The Leela Palace New Delhi. How much is a hotel in New Delhi for this weekend? The average price per night for a 3-star hotel in New Delhi this weekend is $104 or, for a 4-star hotel, $184. Looking for something even fancier? 5-star hotels in New Delhi for this weekend cost around $442 per night, on average (based on Booking.com prices). How much does it cost to stay in a hotel in New Delhi? On average, 3-star hotels in New Delhi cost $28 per night, and 4-star hotels in New Delhi are $55 per night. If you're looking for something really special, a 5-star hotel in New Delhi can be found for $126 per night, on average (based on Booking.com prices). On average, it costs $43 per night to book a 3-star hotel in New Delhi for tonight. You'll pay around $86 if you choose to stay in a 4-star hotel tonight, while a 5-star hotel in New Delhi will cost around $368, on average (based on Booking.com prices). Which neighborhood is the best one to stay at in New Delhi? West Delhi, South Delhi, and Central Delhi are popular with other travelers visiting New Delhi. Which hotels in New Delhi are good for families? Many families visiting New Delhi loved staying at The Oberoi New Delhi, The Leela Palace New Delhi, and Hotel Palace Heights. What are the best hotels in New Delhi near Delhi International Airport? Travelers who stayed in New Delhi near Delhi International Airport (DEL) have said good things about Hotel Smart Stay, Hotel SRV Plaza, and Aerocity Hotel Metropolitan Express. What are the best hotels in New Delhi near Connaught Place? Some of the best hotels in New Delhi near Connaught Place include Hotel Palace Heights, The Imperial, New Delhi and Cp Villa. 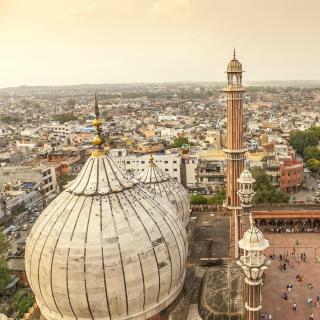 A part of supposedly one of the oldest existing cities in the world, New Delhi is an ultimate destination for those seeking mind-altering experiences. With almost an endless supply of interesting sites, this city offers more than just what meets the eye. From intimate temples to impressive promenades, from ancient ruins to 20th-century constructions, and from Metros to rickshaws – New Delhi is a city of strong contrasts and a true microcosm of Indian culture and history. Step through the Lahore Gate and explore the Red Fort, a famous red sandstone building with marble halls and gardens filled with streams and fountains. Or admire stunning Humayun’s Tomb, which has been described as the predecessor of the great Taj Mahal. 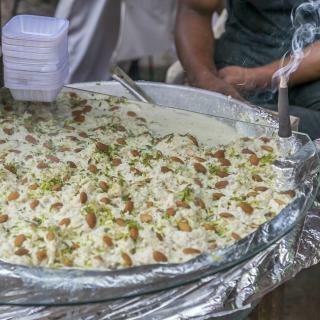 But Delhi is not only about historic monuments, it’s also about thriving shopping and delicious cuisine! 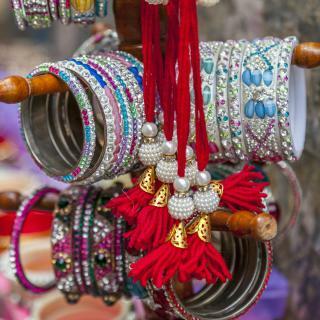 Its colorful and busy bazaars and super-modern malls are every shopper’s dream. 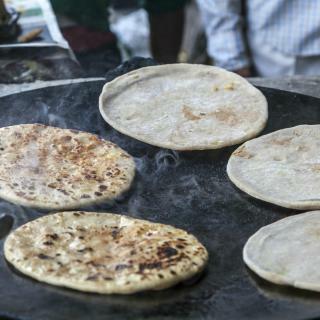 Don’t miss the opportunity to try the best street food in the whole of India! The modern Indira Gandhi International Airport lies to the west of the city, a short ride from major places of interest. With over 350 hotels and bed & breakfasts available, Booking.com has the perfect accommodation for your New Delhi adventure. 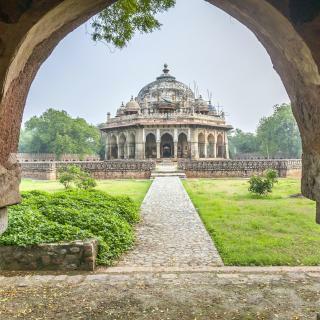 Delhi has a lot of very beautiful places to visit. Delhi has a lot of very beautiful places to visit. Do not let yourself discouraged by the fact that’s it’s a big city with a big population and traffic, the monuments and the whole experience of this are definitely worth it. 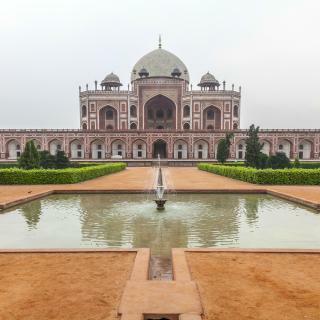 Humayun Tomb was definitely the highlight of the trip, going close to sunset is best for beautiful views. Akshardham Temple is also great to learn about some parts of the Indian culture, and the architecture is breath taking, do not miss the night water show and the exhibitions! You can go cheap or go upscale. Most of the historical buildings in Delhi are my favorites. Most of the historical buildings in Delhi are my favorites. The buildings was really incredible just like their slogan "Incredible India". Try to check Agrisen ki Baoli. Getting around Delhi is easy if you know where your destinations, just install application for ordering cabs and you can choose which kind of transportation you'll take, from economic to luxury travel. Don't forget to avoid coming on summer because it will be so hot and dusty. New Delhi isn't as scary as everyone seems to think. Absolute depravity. Dirty, polluted, loud, aggressive, some of the poorest and saddest living conditions I’ve seen on the Earth. Delhi breaks my heart because there is so much suffering at every level imaginable. My partner and I spent 3 days at Sunstar Heritage. We landed in India at 22.45 and the hotel arranged for pick up transport which was already there when we arrived. Same for our departure where we needed to leave at 4.30 in the morning, they prepared breakfast for us even at 4 before we leave for airport. The staff was very friendly and helpful. Bedroom was clean. Hot shower available. The location is not far from the city centre of Karol Bagh and app. 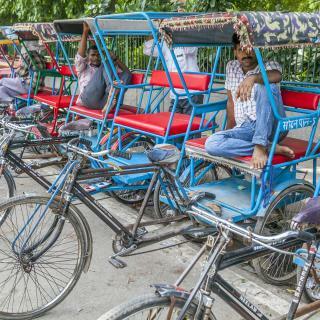 15 - 20 mins (without traffic) by tuk tuk to Connaught Place. We visited New Delhi for tourism and wanted to stay in Main bazar area so we’ve chosen Hotel City Empire. We didn’t regret it for once. The rooms are clean. The staff is friendly and helpful. Especially one receptionist guy - Girish. Any problem you have even not about hotel staff he does his best to solve it. We stayed in other different hotels in India after so this one was the best! Everything! Close to the airport (100 rupies by OLA cabs) the hotel was super clean and the staff the most helpful staff we’ve had in India! We actually loved the place. If you need to stay just for one or two nights (as we did) because you have a flight from New Delhi... this is a great option! And very cheap one. Absolute stunning room, comparable to a 5 star property for a very very reasonable price compared to the overpriced hotels of Delhi. Everything was very new. One of the best bathrooms and showers I've experienced in India. Most of the staff were very professional and helpful. The best hotel I've stayed in India so far. Raj picked me up from the airport and waited 3 hours for me while I was stuck in the visa queue. All staff were very friendly and professional. The room was luxurious, the breakfast was fantastic and the rooftop pool was lovely. The hotel is close to the New Delhi railway station, airport express line and the Main Bazaar. The staff were all friendly, attentive and courteous. Rooms are in various style and suit everyone's needs. We shall return to the hotel next time. Hotel D'Capitol is one of my favorite hotels in the world. The friendly faced staff feel like family members and that is the reason that I will always choose Leela, whenever I go to New Delhi. For true Indian hospitality, it is a must. Best hotel during my trip in India. A very good 5 star hotel with 5 star facilities and services. The buffet restaurant both for dinner and breakfast was very good and with plenty of quality food options. The room was spacious, clean, and very quiet - we slept soundly. Everything worked well in the bathroom - good water pressure and temperature. The staff was very friendly and accommodating. The staff were very helpful and super friendly. Been to many hotels in many countries and I say I Had the best reception ever received by the staff.